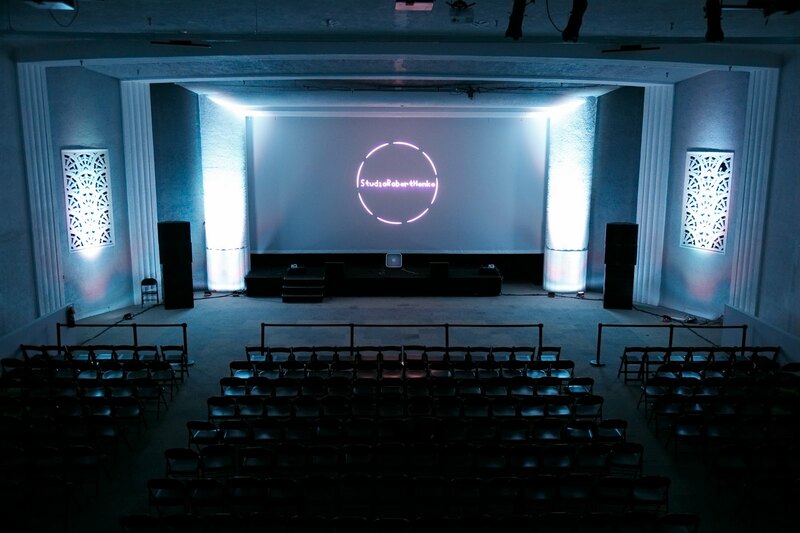 Gray Area has retrofitted the historic Grand Theater with modern day sound, lighting and visual capabilities. 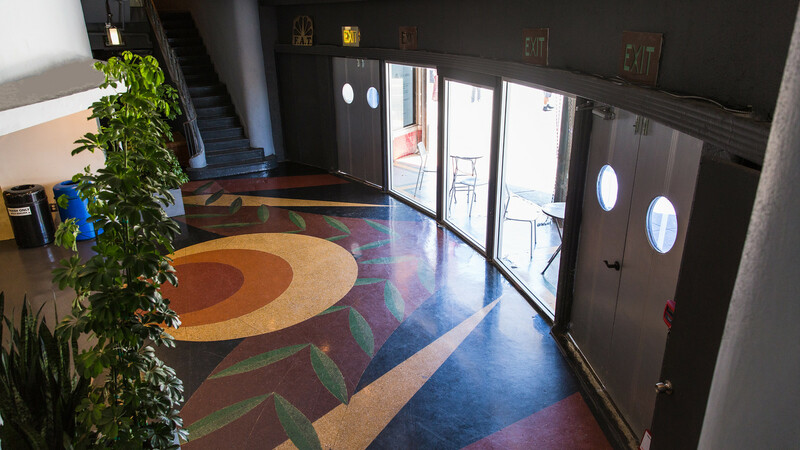 Located in the vibrant Mission District of San Francisco, Gray Area is the perfect environment for your next event. 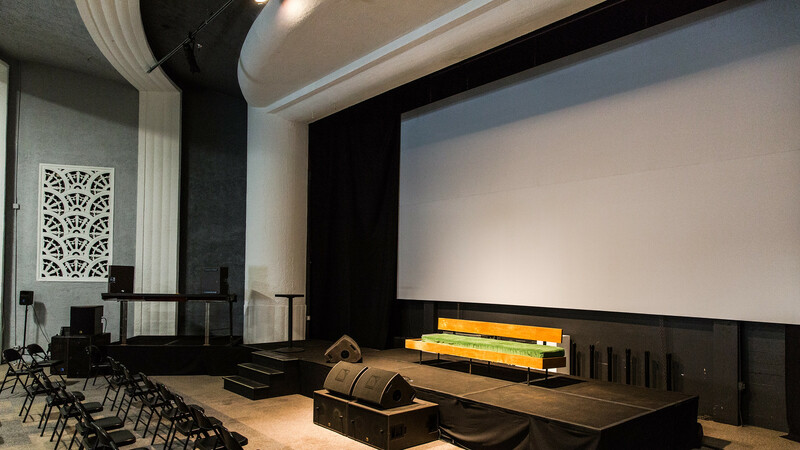 The Grand Theater Rental includes the proscenium stage, exhibit, and lobby areas. Making up the entire ground floor, it is an excellent option for exhibits and large performances. The Half Theater Rental includes the main proscenium stage, lobby, and bar. Perfect for performances, small conferences, rehearsals, and special events. The Lobby is an active retail space with large windows facing busy Mission St. It is ideal for small functions, pop up retail and showcases. The Grand Theater Rental includes the proscenium stage, exhibit, and lobby areas. The Half Theater Rental includes the main proscenium stage, lobby, and bar. The lobby is an active retail space facing Mission st with public access. Gray Area is located in the historic Grand Theater, built in 1940. We offer modern sound, light, and visual capabilities, fiber internet, and full bar packages. The 10,000 square foot San Francisco landmark is a versatile venue available for performances, conferences, and exhibitions. Are you a non-profit 501(c)3 organization? Benefits of the community rentals program include listing on the Gray Area website, digital marketing, and discounted gear and rental fees. Past program recipients include: Mission Cultural Center, El Tecolote, Let's Take Action, Dawson Dance SF, CounterPulse, CCA, BAVC, and more.